It is very tough in Deciding a winner at weekend tournament, 145th Brilliant Trophy. What really happened is there were 3 players (G.V. Srinivas, J. Malleshwar rao and Tarun) on 5.5 points, the interesting part is top two G.V. Srinivas rao and J. Malleshwar Rao with same bucholz. It is hard deciding a Winner. So, Brilliant Sumbramaniam came up with a Brilliant idea of play offs, but the destiny wants both as winner’s. The play off match ended in a draw. Mr. Fayaz helped Mr. Subramanium in Deciding the winner by a toss. A history created at 145th Brilliant Trophy, it never happened since, it’s inception. Watch the below video and enjoy the excitement before the prize distribution ceremony. The toss on first attempt a fail, destiny don’t want a winner to be decided. Organiser wants to decide the winner at any cost. Finally the last attempt of toss went in favour of G.V. Srinivas. Congratulations to G. V. Srinivas and Malleshwar Rao for the top two places. ATC players won 3rd and 10th prizes. T. V. Subba Rao the best Veteran as always. We Congratulate CM Praneeth Vuppala for under 15 state champion, we also congratulate Sibi Srinivas Einstein Reddy and Saypuri Srithan for 1st and 2nd runner up. Congratulations to Chilkuri Sai Varshith for becoming Andhra Pradesh state under 11 Champion, we hope many of his friends of Hyderabad missed him. We are glad to have Bharath Poluri, ATC Welcomes Bharath. 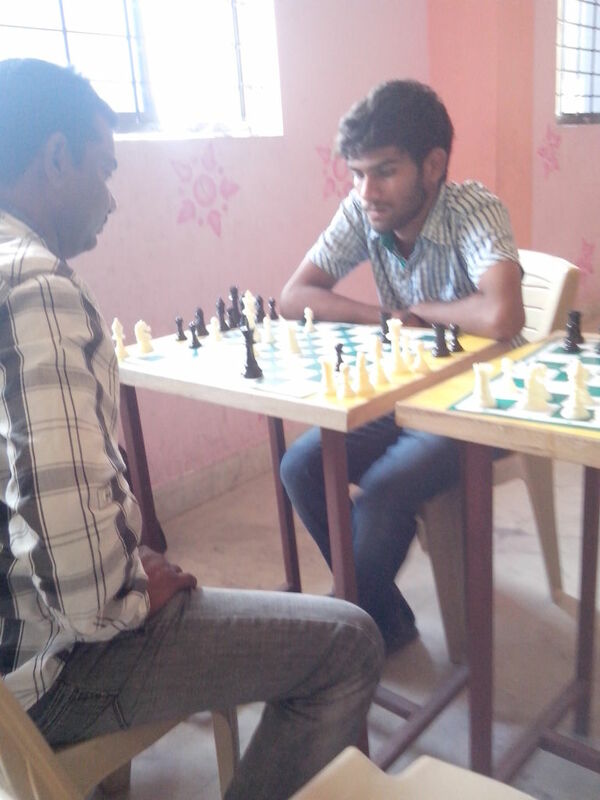 A senior player, highly disciplined, humble chess player Bharath Poluri. It is nearly 3 years now we missed to see Mr. Bharath. Outstanding player from rural Telangana. 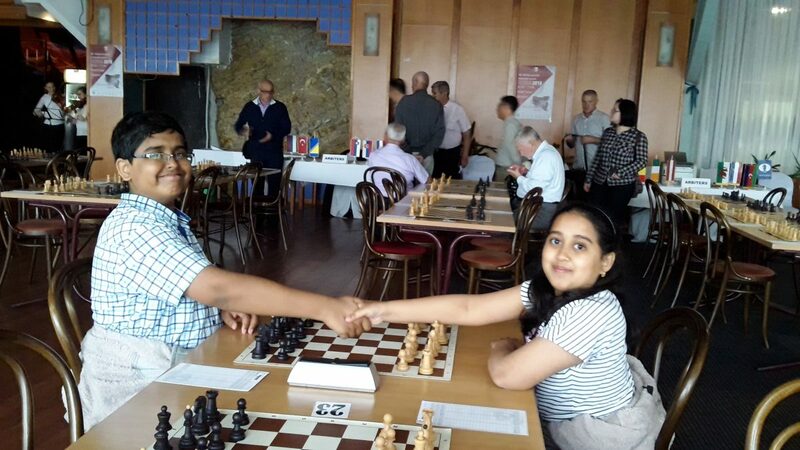 He was a regular participant at weekend tournaments conducted by SuperKidschess. 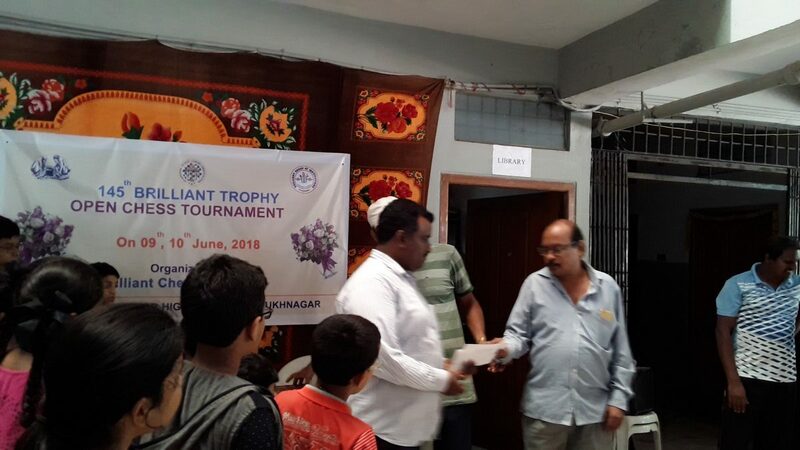 He also participated in tournaments that we conducted at Bhongir. You can see Bharath in the featured image above playing against Mr. Ibrahim (maths teacher from rural Telangana) at Bachpan School Bhongir. He worked as a coach in Malaysia and now back in India. A humble, down to earth chess player and a coach we have ever seen. 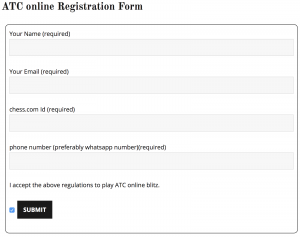 Today he registered with ATC for playing online tournaments, It is a great opportunity for budding players playing with him. ATC Welcomes Bharath. The timings of ATC online are 5pm to 12am. It will be played in Arena model on chess.com. All the above timings are in IST. You can also join in the middle of the tournament. Every day prizes, Weekly prizes, option of playing for free. Playing with high rated players all over the world are some of the highlights at our ATC online. I tried to Read Vishy’s Mind, as Vishwanathan Anand playing Altibox at Norway. The world’s Strongest players battling on the board at Norway. It is an interesting game. Watch the below video. Most of the senior players like IM CRG, FM Srinath Rao, IM Chakravarthy Reddy etc., have better understanding then me about the game. It would be great if some seniors comprehend the games played by one of the strongest players of the world. The local talent is in abundance, its the time for organisers to provide seniors a platform. We thank our local organisers for conducting regular tournaments and practice sessions. 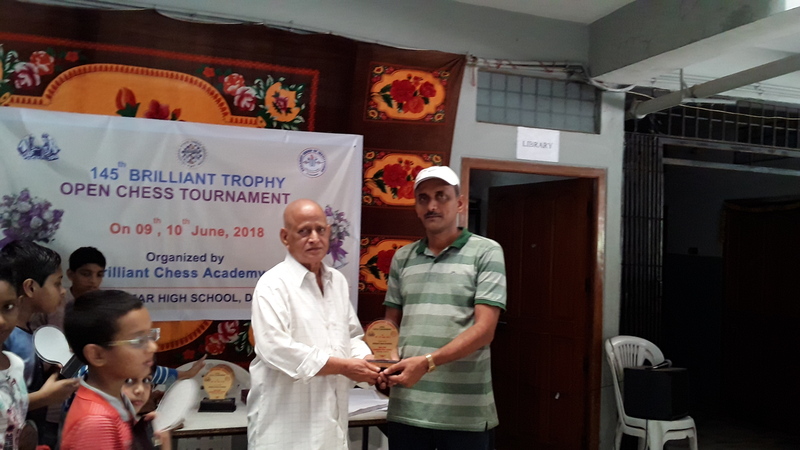 I have seen chess skills increasing to great heights by playing regular tournaments, take for example of Mr. Prakash. Earlier, I use to play with him with ease but now I need preparation to face him. Increase of over 100 points at KIIT by Sibi itself proves that continuous practice can create wonders. We expected more with Akira but still he performed very well. All the best, Reddy brothers for future tournaments. Chess players can Play at ATC for free. 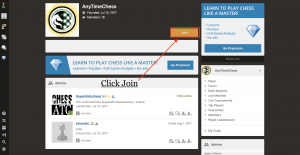 AnyTimeChess believes in practice makes perfect introduces free games at ATC. Chess players can choose to pay or not to pay. If chess players pay, they will be contenders for Prize Money. Chess players at ATC has a liberty of not to pay the fee and can play for free, if they are not interested in Prize money. 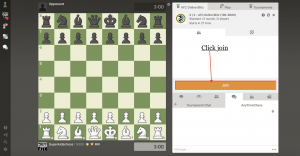 All the players get rating, so that they can see where they stand with the fellow chess players. 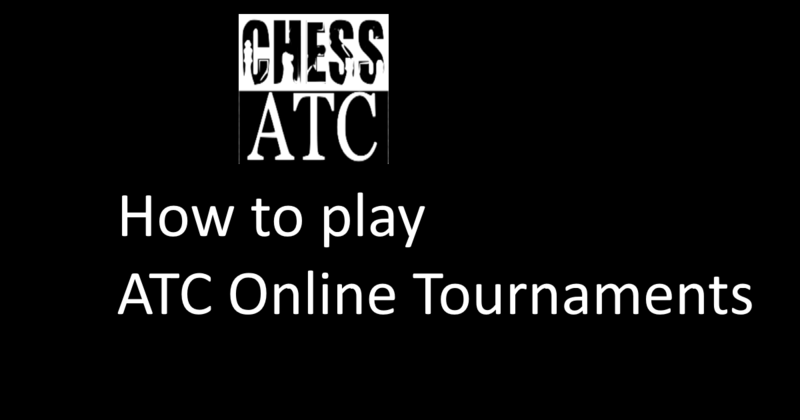 We thank all the chess players around the world who are participating on our online ATC blitz, looking at their interest, we will be running ATC Online everyday. The timings for Online Blitz tournament start at 12pm, 2:30pm, 5pm, 7:30pm, 10pm IST. ATC wish to enhance the Prize Fund to Rs 10,000 a week. We are doubling the Prize Fund. The weekly prize of Rs 5,000 remains same. We are now introducing daily rating prizes. The top three players who increase their individual ratings will be eligible for daily prizes. These daily prizes will be given to those who pay the game fee. There are three exclusive rating prizes every day. We have consolation prizes of Rs 800 for best games, analysis and puzzles, details will be published later. A report on Nano Cup, written by Tarun. 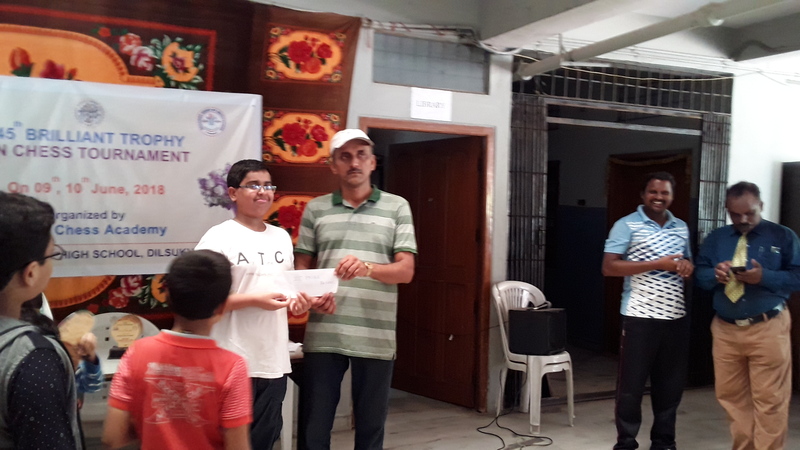 Team ATC extended support to the Organiser and hosted Prize Distribution ceremony and helped deputy Arbiter Mr. Naresh FA. We are sorry if we have not performed to the expectations of the chess players as we are not prepared. We also apologise if there are any mistakes at the prize distribution ceremony as it was a long list and the hall is jam packed. FA Naresh demonstrated excellent skills in speedy up the updation and retrieving the data. He stood as a good resource to the Chief Arbiter Mr. Sampath Bollam. Prize distribution function attend by Mr. Vijay Sarathi and Mr. N. C. Gopal. Director of Nano College Mr. Y. Srinivas gave a short speech, and General Secretary of TSCA Mr. K. S. Prasad gave a speech and explained about selection tournaments for Nationals. Phani Kanuri out prepares trisha with 1.g3. Phani Kanuri usually plays 1.e4, but he was worried that Trisha would prepare against 1.e4., this is the reason why he out prepared Trisha. 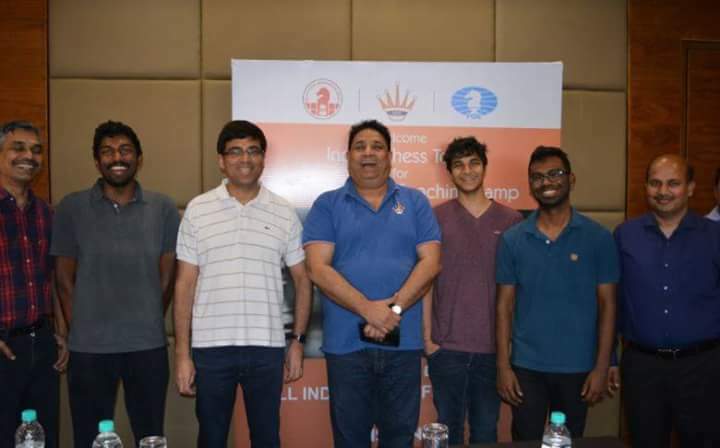 Well know chess organiser like Mr. J. Subramanium spent his valuable time in solving some of the disputes occurred at the games. Mr. Jagan, who worked as one of the arbiter kept all other arbiters morale high and all worked to a successful completion of 1st Nano Cup. 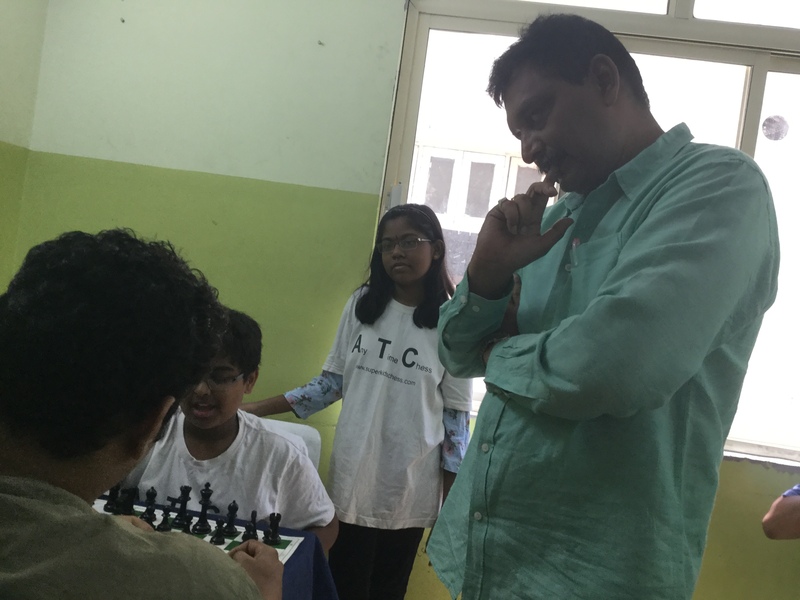 Mr. Jagan motivates young chess players and spreads good humour. A sensation created at Nano Cup on the first day by ATC player Y. Murali Mohan. He defeated one of the finest player of Hyderabad, Mr. Vikramjit Singh. You can watch below video on how he defeated. ATC players enjoyed every moment at Nano, it is not only ATC players, there are big team of players came from different academies. 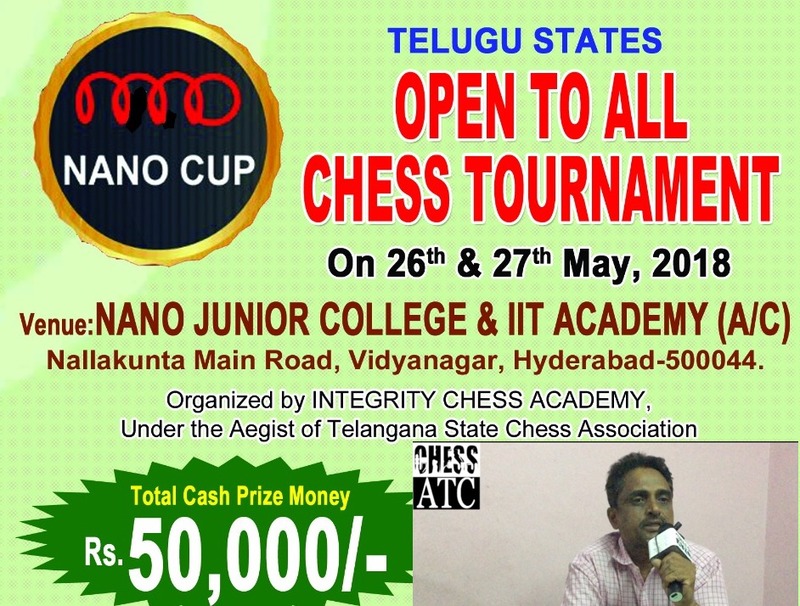 It shows chess is growing in Telangana and Hyderabad is shining with great demonstration of chess. Senior players of Hyderabad like Mr. Amithpal, Mr. G.V. Srinivas etc., shown excellent chess and all the budding players watched their end games, without even going for lunch. Unlimited food served on the terrace. It was delicious, simple and hygienic. Tea served two times a day. Filter Water provided within reach. There are few regrets, regarding clocks, and some players shown disappointment, but all the top boards were provided with clocks. Look at the below video about headache. 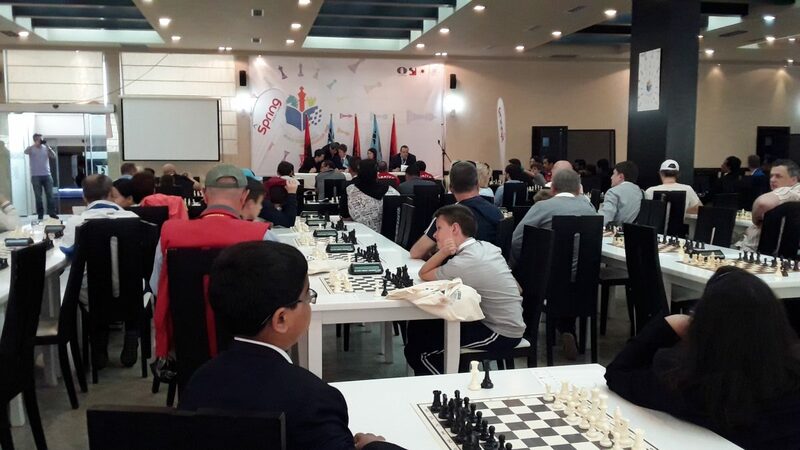 We thank all the chess players on expressing their views. All the players looking forward for another tournament from Nano. A senior player Mr. Vijay Bhasker a reputed coach, who built a confidence in Srida. Mr. Vijay Bhasker participate in discussions on games played and always gives his valuable adivse. We talked with Srida and we can sense how she is confident about her game. Winning loosing doesn’t matter, but building a confidence to face any type of game, credit goes to her coach. Look at the below video on how Srida a confident girl. Finally, we thank Mr. Damera Srinivas Chief Organiser for organising one of the best tournament. Please send us your feed back to info@chessatc.com after reading A Report on Nano Cup. It’s weekend, time for spending our time at Local tournament and we are near to much awaiting 1st ever Nano Cup. It is a great opportunity for Hyderabad players. ATC salutes to Mr. Krishna Chaitanya for sponsoring. 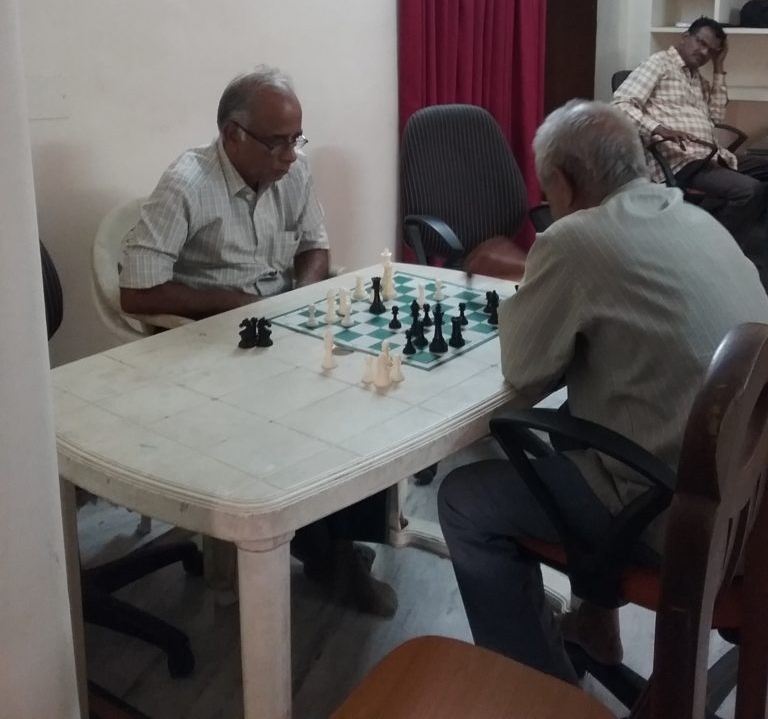 Hyderabad Chess needs people who have great heart like Mr. Krishna. 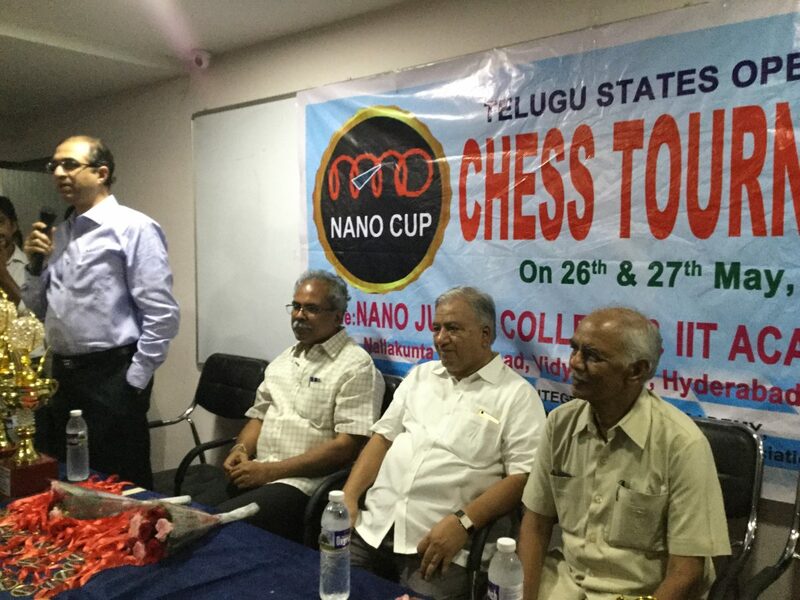 Nano Cup organised by experienced Arbiter, none other then Mr. Sampath Bollam and other team members Mr. Srinivas Raju and Mr. Damera Srinivas. It is unfortunate that we are colliding with one of finest GM Tournaments circuit which is currently on the second leg at KIIT. We got a chance to talk to one of the organiser, who is also a coach, Mr. Srinivas Raju. 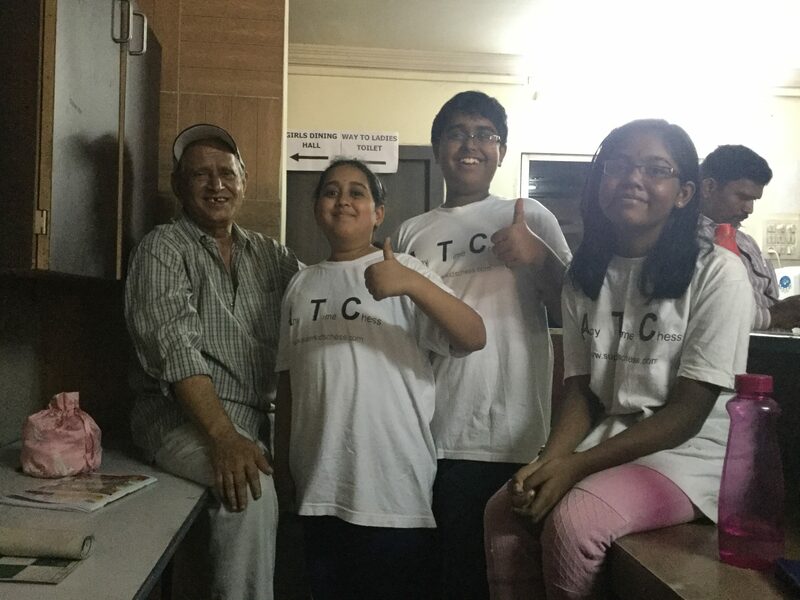 We welcome Chetan Sharma from Hyderabad, Tanmay Chopra from Delhi and Sainath Gaikwad from Mumbai who joined our ATC online today. Saikath from Pune crushed at the start of the week, struggled hard and to be on top 9s. Offline hero Perumallu, played some serious games and zooming to the top. 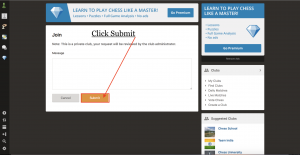 Step1: Goto http://chessatc.com/atc-online-blitz/.Fill the form and then click “submit”. Tournament Director will accept you request as soon as possible. Step3: After some time you will be joined to the club. Daily we will send 2 tournament links at 8:30PM IST for 9 o’clock tournament and 9:30PM for 10 o’clock tournament. The tournament link will shared through Whatsapp group and e-mail, click the tournament link and then click join to play the tournament. I accept the above regulations to play ATC online blitz. ATC is the Driving Force..Article written by RamMohanRao few months ago. I entered in to chess field in 2014 Only as a raw hand after retirement. Initially I was enjoying my defeats at the hands of even small children. I was being beaten black and blue by every one. The children used to ask me “uncle what is your rating?” Since i did not know what is meant by rating i learned from others. Then I learnt a little bit of QGD and with some little effort i got a rating of 1136 in 2015, but playing a number of rated tournaments later my rating crashed to 1022 and then to zero on 30th november 2017. In this period I became a regular player at ATC started by MR.Dayanand. The regular practice gave me lot of confidence besides some more knowledge. I played a recently concluded Below 1500 at paradise Hyderabad as unrated player.again. I could not myself believe that by the end of 3 day event I could beat 3 rated players and drew with one with 4.5 points. My performance rating is now given as1147. So I was unrated only for one night that is 30th november. THIS CREDIT SHALL GO TO ATC. 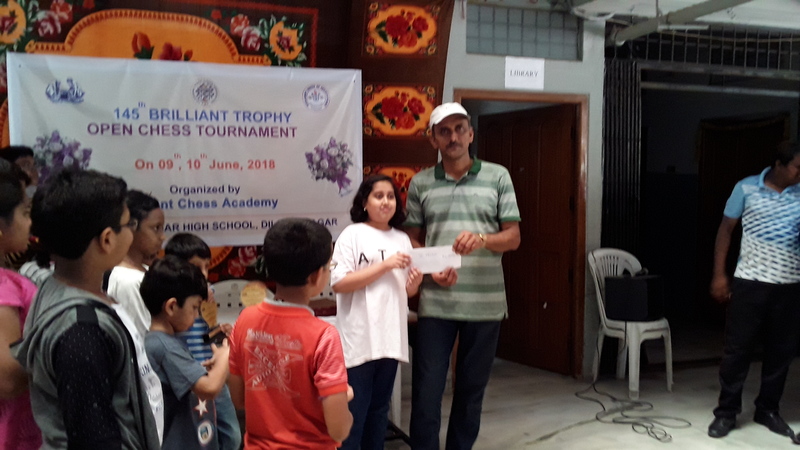 So, ATC is the driving force for any chess player.Madhu got 6 points yesterday. One has to simply sit in ATC car as frequently as possible and Mr.Dayanand will drive you to wins. I am now enjoying my wins and new rating which came overnight. Good luck to all of u.